The American Society of Home Inspectors (ASHI) says that over 96% of new homes develop moisture problems within the first 10 years. Over 60% of these homes have a leaky basement while 38% of them are affected by mold and fungus growth due to this wetness. If your property has a basement, it is high time to learn about the best solutions to use in order to alleviate the problem. More importantly, you need to appreciate that in this state, your house’s structural integrity is compromised. Worse still, moist surfaces lead to toxic mold growth which poses health risks to your family. Once you notice an odor or any water signs in this space, make sure you call a foundation contractor for a thorough checkup. Once this is done, they can remediate the problem using some of these techniques. A professional contractor will use polyurethane caulk or cement to fill any cracks or gaps that are allowing water into the basement area. This is done where the problem is minor, especially if these cracks are caused by plumbing pipes. According to the Concrete Foundations Association (CFA) over 50% of leaky basement issues are caused by poorly laid gutters. If these are not well fixed, they will drain water next to the foundation walls and it will eventually seep through to the basement. An expert will add an extension to these drains to ensure they discharge water five feet away. According to research, over 90% of moisture in the basement comes from outside. Waterproofing the foundation walls works perfectly to seal any weak points in the joints that allow water through. This is done using a plastic membrane that is either sprayed on the foundation wall after excavation or fixed on the walls. As your house settles, the soil around the foundation will slump leaving a slope towards the walls. This means surface water will stagnate next to the walls again leading to seepage. A contractor will rework the grade in order to ensure water drains away from the walls. This is considered one of the most effective techniques in restoring your basement into a livable space. It is installed on your yard in order to trap water from uphill and drive it away from the property into a dry well, street or into a draining ditch. 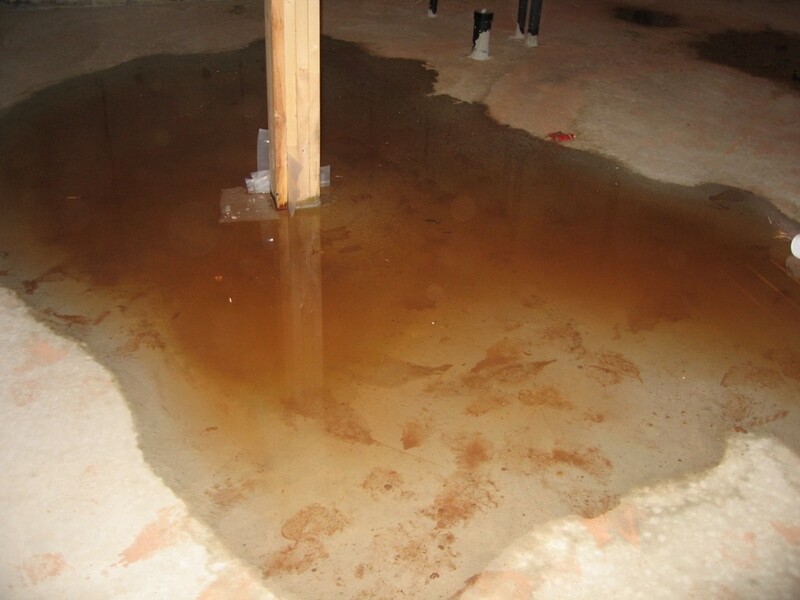 Well, there are many leaky basement solutions and your contractor will select the best, based on the specific cause of the seepage.